The Alps 2 Ocean Cycle Trail starts from Aoraki/Mt Cook National Park. 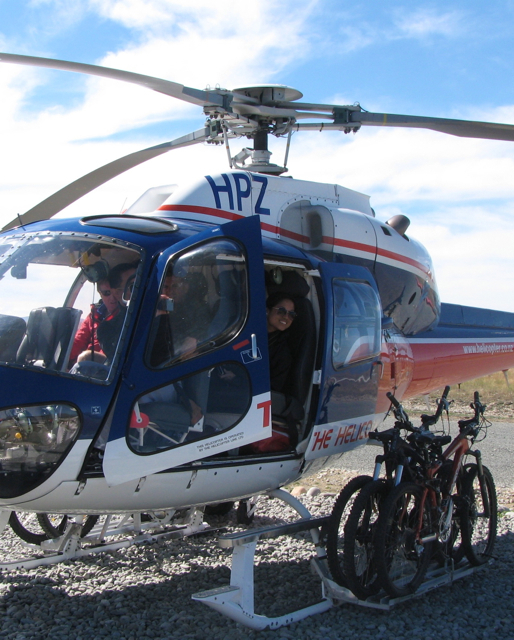 Cycle out to our helicopter base at Glentanner Park. 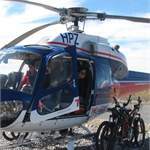 We will take you and your bike for a short but exciting helicopter flight over the Tasman River to the official start of the A2O trail. We can take up to 6 passengers at a time (depending on weight limit). Please visit the Helicopter Line website for add-on deals. You can extend your flight by adding on the glacier landing (an awesome experience!). The Helicopter Line is New Zealand's leading helicopter company, operating with a fleet of modern turbine helicopters based at Mount Cook and Twizel, Franz Josef Glacier, Fox Glacier, Queenstown and Fiordland. The scenic flights from these iconic locations will take your breath away as you discover that the stunning views of New Zealand's National Parks, glaciers, mountains and lakes are always best from above!